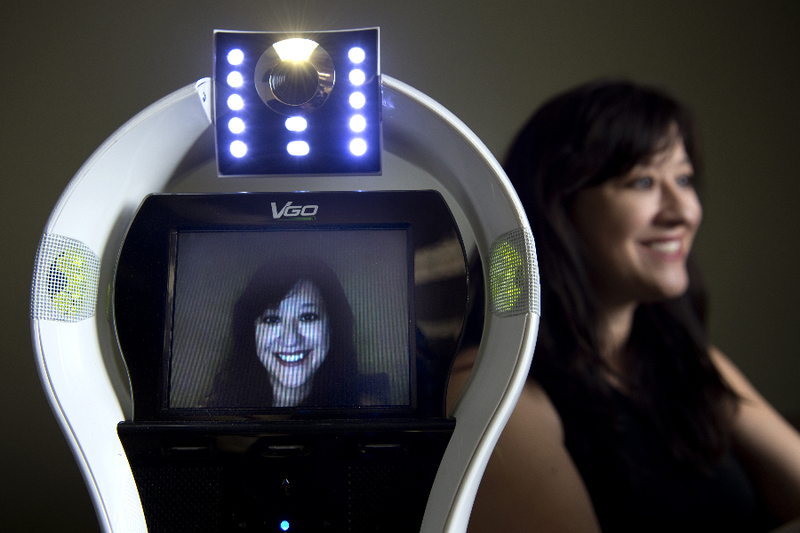 Chronically ill, homebound children who use robotic surrogates to “attend” school feel more socially connected with their peers and more involved academically, according to a first-of-its-kind study by University of California, Irvine education researchers. 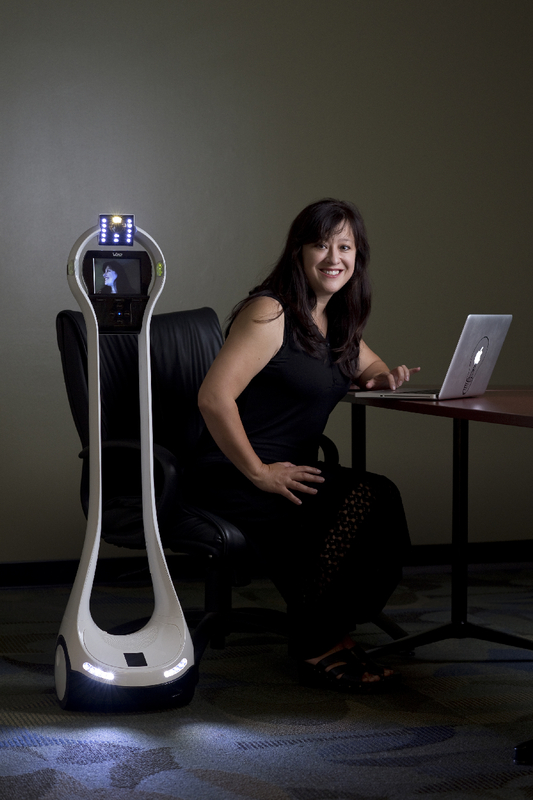 Telepresence robots could do just that. The Internet-enabled, two-way video streaming automatons have wheels for feet and a screen showing the user’s face at the top of a vertical “body.” From home, a student controlling the device with a laptop can see and hear everything in the classroom, talk with friends and the teacher, “raise his or her hand” via flashing lights to ask or answer questions, move around and even take field trips. However, the robots have gone straight from production to consumer, the researchers noted, and there is great need for objective, formal studies in order for schools, hospitals and communities to responsibly engage in this innovative educational practice. The exploratory case study – co-authored by Mark Warschauer, UCI professor of education and informatics – involved five homebound children, five parents, 10 teachers, 35 classmates and six school/district administrators. The students – four males and one female – ranged in age from 6 to 16, and their chronic illnesses included an immunodeficiency disorder, cancer and heart failure. Getting to see their friends and staying socially connected was what they said they liked best about using the robots. The school day felt more normal, they reported, because they were able to participate in discussions, interact with peers and undergo new experiences with their classmates. “Further research is required to determine the impact of robot utilization on students’ health and well-being, as well as the most effective ways to implement this technology in various settings,” said Newhart, who presented the findings at the 23rd International Conference on Learning, held in July at the University of British Columbia. This fall, telepresence robots will become available on the UCI campus – a gift from the class of 2016. “This is a solution for any student who’s prevented from completing a course or degree program because of a long-term injury or illness,” said Newhart, who will soon launch additional studies in school districts across the country.